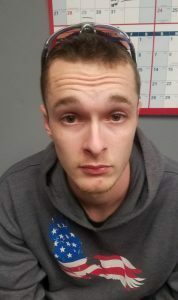 Darren Lilly, 23, was arrested and charged with terrorizing after police found numerous weapons, including a sawed-off shotgun and a gun in a violin case, at his home. Central Maine Community College beefed up its security and the Sagadahoc County Sheriff’s Office fielded numerous phone calls after the Bowdoinham man who allegedly threatened to “shoot up” the school was released from jail this week after paying only $60 bail. Darren Lilly, 23, was arrested at his home on Feldspar Lane on Monday and sheriff’s deputies seized a mix of handguns, rifles and shotguns from his house, and two firearms from a car, the department said. He was charged with terrorizing with a dangerous weapon, a Class C felony punishable by up to five years in prison and a $5,000 fine. Lilly was granted $1,000 unsecured bond, meaning he only has to pay that amount if he doesn’t show up in court. On Monday, he paid $60 to secure his release. Conditions of his release forbid Lilly from possessing firearms or entering the city of Auburn, where the college is located. The sheriff’s office said that people who know Lilly told deputies that he threatened to “shoot up” the college and that he had numerous firearms. 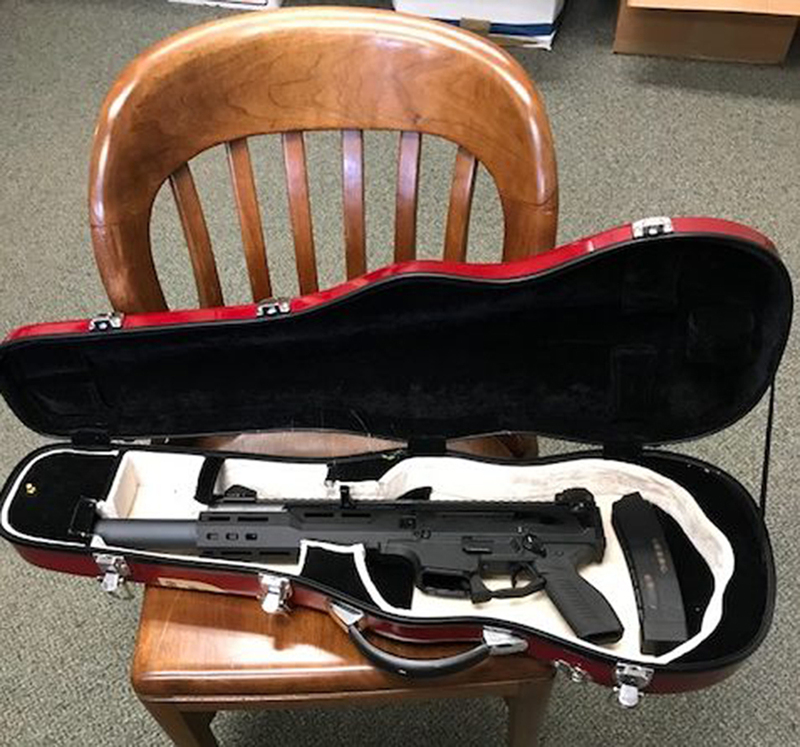 A sawed-off shotgun and a gun in a violin case were among the weapons deputies seized. CMCC President Scott Knapp said Tuesday that he was concerned that Lilly, who had been accepted as a student at the college last fall, was not in police custody. Knapp said the Auburn Police Department was providing an additional police presence on the campus at the college’s expense. Sagadahoc County Sheriff Joel Merry said his office has fielded questions about the bail amount, which he said is set by the bail commissioner based on several criteria, including whether the person has a prior criminal record, is facing unrelated charges in other cases and whether he is considered a flight risk. Even though a background check showed that Lilly did not have a prior criminal history in Maine, Merry said the bail amount gave him pause. Merry said words have consequences, and in this case Lilly allegedly made some statements that caused alarm – enough so that his acquaintances alerted the sheriff’s department. Deputies found Lilly had the means to carry out the threat. “You add all that together, and you’ve got some reason for concern,” he said. However, Merry noted that the primary function of bail is to ensure that an individual will show up in court on a certain date to answer charges. While there are some rigid guidelines on certain offenses, bail commissioners do have broad discretion and the bail process can be highly subjective, Merry said. The bail will likely be reviewed by the judge at Lilly’s arraignment. Efforts to contact Lilly for comment were unsuccessful, and it was unclear as of Thursday whether he has an attorney. Hunter Brooks of Brunswick, who knew Lilly when they were students at Mt. Ararat High School in Topsham, was shocked when he learned of Lilly’s arrest. “I don’t really see him doing that, so I don’t know what set him off,” Brooks said. Lilly was never a violent person, Brooks said, and would give the shirt off his back to anyone. Lilly is scheduled to appear in West Bath District Court on Sept. 11.